How do you order Asacol 400 mg online? Ever try ordering from Canada? You can purchase Asacol 400 mg from YouDrugstore. Our Canadian pharmacy is run by a team of professional health care specialists who would be happy to review your prescription. Just send YouDrugstore your prescription for Asacol 400 mg and we will ship it right to your home for a discount shipping cost. When you buy Asacol from YouDrugstore, you get the medication you need for the same price a Canadian would pay. 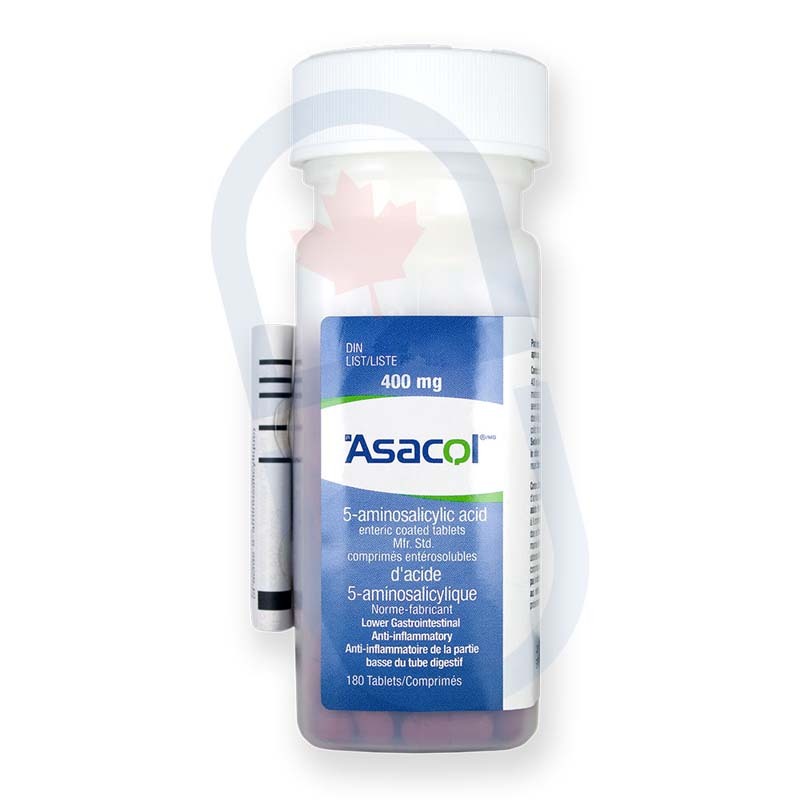 Order Asacol 400 mg today and find relief from bowel disease. What are the side effects of taking Asacol 400 mg? Besides doing what you need it to do, it is not often that Asacol 400 mg will cause side effects. However, side effects that you may experience can include stomach and abdominal pain, back pain, fever, skin rash, constipation, vomiting, flatulence and gas, indigestion, heartburn, stuffy nose, and gastrointestinal bleeding. As some side effects may not be reported, speak to your doctor if you experience any other symptoms or side effects. If you have any other questions or concerns speak to your doctor. When should you take Asacol 400 mg? If you have been given a prescription from you doctor for Asacol 400 mg it is important that you take Asacol exactly as they have directed. The typical dosage you would take if you are suffering from moderate ulcerative colitis (a bowel disease) is two tablets, three times a day, for 6 weeks. If the prescription is for a child under five years old, then your doctor will specify a more detailed dosage because the typical dosage for children will depend on their weight. It is important that you do not exceed 2.4 grams a day. If your child is between 17 and 33 kg, they should not take more than 1.2 grams a day maximum. If they are between 33 and 54 kg, they should not exceed 2 grams a day maximum. If your child is between 54 to 90 kg, then they can not exceed a maximum dose of 2.4 grams a day. If you are simply maintaining treatment to prevent a recurrence of bowel disease, then you should only be taking 1.6 grams maximum throughout a day. Do not chew or break the tablets. If you have any questions or concerns speak to your doctor. Why is Asacol 400 mg prescribed to treat bowel disease, including Crohn's disease? Asacol is a brand name product containing mesalamine, an effective anti-inflammatory drug that can calm and treat your inflamed digestive system. While Asacol works to treat the inflammation in your system, it is also considered an antioxidant that can help clean your system. 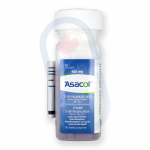 Furthermore, Asacol 400 mg is manufactured by Actavis, a leading pharmaceutical manufacturer. Asacol 400 mg is also safe for children aged between 5 and 17 years old, but it has not been studied in seniors. Order your prescription Asacol 400 mg today at YouDrugstore and find relief from bowel disease. Who might receive a prescription for Asacol 400 mg from their doctor? If you or your child older than 5 years suffer from bowel disease, including Crohn's disease and ulcerative colitis, your doctor may prescribe Asacol 400 mg as part of your treatment. If you are experiencing diarrhea, bloody stool, fever, weight loss, and a severe urgency to have a bowel movement, speak with your doctor about bowel disease. He may prescribe Asacol 400 mg to you in order to help treat any inflammation or swelling in your system.